These are a cute little cookie to bring for a Halloween party at school or any other events. They can be made in no time at all and so easy. Either you can make the cookies homemade or buy the stripped butter cookies from any inexpensive grocery store. They are so festive for Halloween and everyone loves them. Make a recipe of shortbread from the Samoas Recipe CLICK HERE using a fluted edged cookie cutter and leaving in the middles, or use store bought fudge striped cookies! There you have it a happy halloween witch hat! You deserve a tip of my hat for designing that. 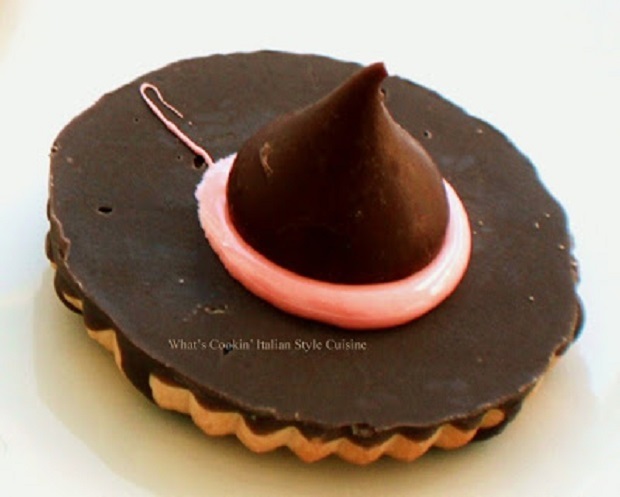 Claudia, I just adore these awesome and easy...yet super creative yummy cookies. So much fun for Halloween! BTW-I made the honey garlic chicken wings, and will be posting it next! 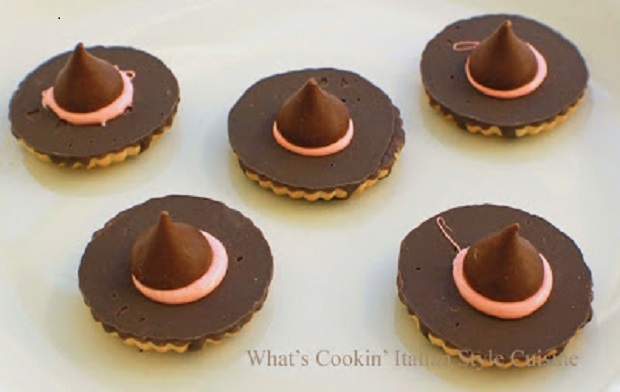 Hi Claudia, that's a very cute Halloween hats cookies. You're very creative. 2 thumbs up for you.